Seems like the folks at Infinite Loop are already prepared for the attention which will take place in less than 24 hours. 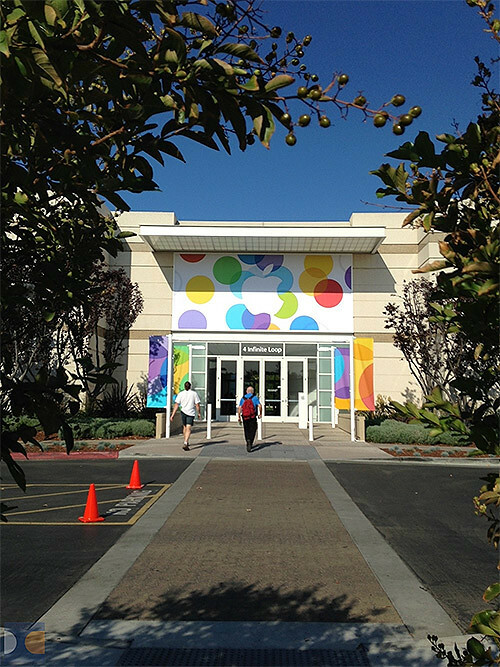 Banners are already up ahead of the iPhone event, painting the Apple Town Hall auditoriumin Cupertino, California with colourful blobs. 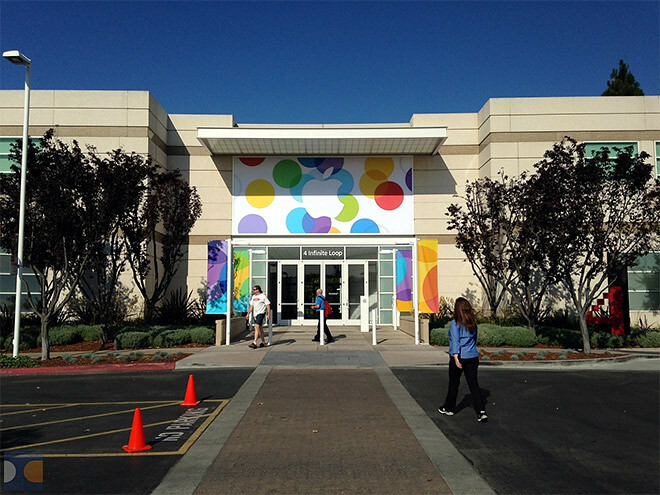 Apple is expected to announce the iPhone 5s, iPhone 5c, iOS7 and OSX Mavericks tomorrow. Stay tuned for updates!